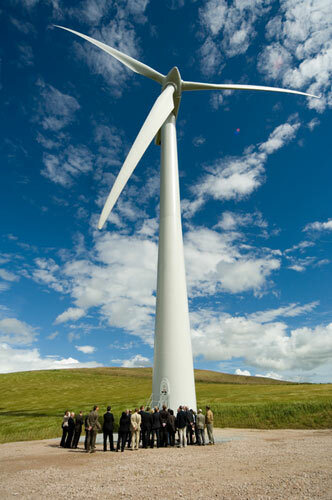 IKEA has set a goal to get all of its electricity from renewable sources with an 80% target by 2015. According to the company's UK website, IKEA UK has invested in a 12.3 Megawatt (MW) wind farm in Huntly, Aberdeenshire in North Scotland. The wind farm consists of seven turbines, each generating 1.75MW, producing a combined 24,700,000 kilowatt hours of electricity per year. This is equivalent to the electricity consumption of five IKEA stores, or 30% of the company’s total electricity consumption in the UK. The company is also investing close to £4 million in fitting over 39,000 photovoltaic (solar) panels to the rooftops of 10 IKEA stores to turn sunshine into electricity. 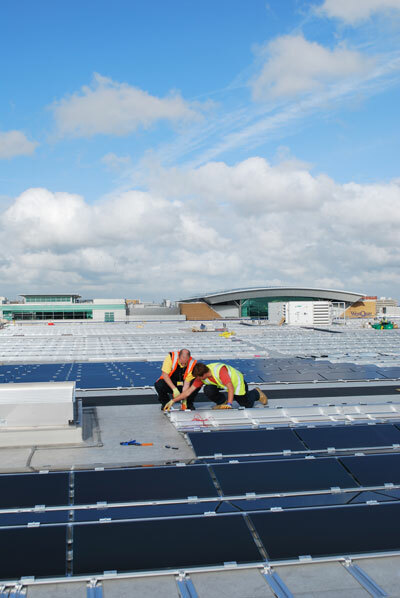 This will provide on average 5% of each store’s electricity needs, or almost enough energy to power around half of one of the company’s 18 UK based stores with solar energy alone.